The Song Remains The Same - And Yet, Everything Changes! Today is the first relatively "normal" (whatever that means) programming day for Lorelai in what seems like a long time - we had plague, theft, storm, holidays, Acts-of-G-d -type interruptions in our regularly scheduled program, and so much more behind-the-scenes drama it's a wonder we're not totally crazy. No, not really a wonder - OK so maybe we ARE crazy, but you like it that way, right? Summer is at the door. Travel (the characteristic of the month of Sivan) is at hand. Radio Free Nachlaot will be taking several road trips this summer - but don't worry, we'll be taking you along with us - and you will enjoy the ride, we promise! 2pm: Rabbi Chaim Richman: "Receiving the Torah Anew"
3pm: Rabbi Moshe New: "Parshas Shelach: Strangers in the Night"
1pm - 6pm: "Israeli Soul" Afternoon - tribute to KAVERET - a.k.a. POOGY - "The Beatles of Israel" - love them, never get tired of hearing them even after all these years! "M'sipurei Poogy efshar l'mod!" (It's possible to learn something from the stories of Poogy"). 6pm: Miriam Makeba "The Queen of African Music" - beautiful and moving, always true to the soul! 7pm: McCoy Tyner Trio & Michael Brecker - you'll love to chillax with this music! 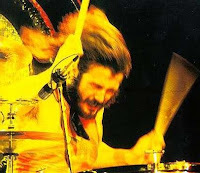 9pm: Led Zeppelin "The Song Remains The Same" - l'kavod the birthday of John Bonham zt"l.
11pm: Louis Armstrong "New Orleans Nights" - smooth and delicious! 11:30pm - 7:30am - THE ENTIRE MONTEREY POP FESTIVAL recording! Yes, all of it! There's so much good stuff here, and we wanted to play something special for our friends in the U.S. who are just rolling off of the long Memorial Day Weekend - why not celebrate Memorial Day with something really memorable? It'll start 11:30pm Jerusalem time / 1:30pm California Time - something to take all you on the Other Side through the day and into your evening - and us into our early morning - you'll hear The Association, Lou Rawls, Eric Burden & The Animals, Simon & Garfunkle, Canned Heat, Janis Joplin with Big Brother & The Holding Company, Country Joe & The Fish, Al Kooper, Butterfield Blues Band, Quicksilver, Steve Miller, Electric Flag, Moby Grape, The Byrds, Laura Nyro, The Jefferson Airplane, Booker T & The MG's, Otis Redding, Ravi Shankar, Buffalo Springfield, The Who, The Grateful Dead (yes they WERE there! ), Jimi Hendrix and The Mamas & The Papas. Lorelai is BAAAAAAAAAAACK! Yes, miracles DO happen, and you'll hear more about them in greater detail in the coming days but b'kitzur ... two holy Neshamas who heard of our distress (that being the theft of Lorelai's laptop on May 12th which represented half of Radio Free Nachlaot) have gifted us with a new and VERY much improved computer for our Station, in the merit of their holy mother, zt"l.
SO happy to be back on the air! SO grateful for my wonderful broadcasting partner Steve Levine - infinitely patient and kind, who carried the entire weight of 24/6 broadcasting for the last 15 days! L'kavod this great occasion - and yes we WILL shut down for Shabbos - playing the Grateful Dead's Crimson, White & Indigo concert. Recorded in Philly's JFK Stadium on July 7, 1989, this is one show you don't want to miss. Special thanks to Harvey Millstein for hooking us up (digitally speaking) with this show, special thanks to all our listeners, most especially special thanks to the Ribbono Shel Olam, Master of the Universe Who heard my plaintive cries (and Who actually CARES about such seemingly minor things like stolen computers and music-deprivation depression) and engineered such a miracle - and you know, we DO need a miracle every day! 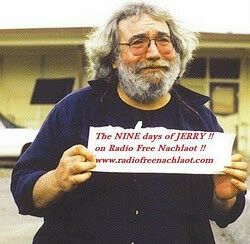 The story continues ... but in the meantime - GRATEFUL DEAD AT 10AM JERUSALEM TIME TODAY! Good Shabbos! Good Shabbos! Time to Cook, Time to Rock! The world needs a refuah / a healing. People need a healing. 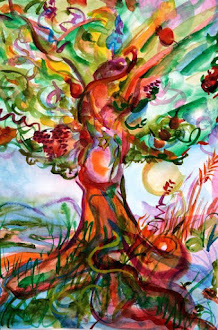 We all know holy brothers and sisters that need each their own particular healing -- and you know, there's the outside approach to healing, and then the inside approach -- but i figure like this, whether we're aligning ourselves to be ready for Shabbos, or trying to align ourselves, the world, to receive the holy light of healing from Hakadosh Baruch Hu -- it's music that will bring it all down. 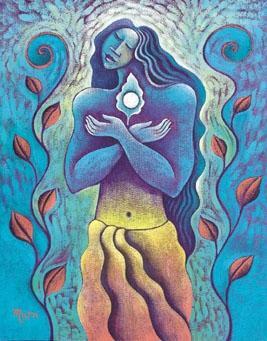 The power of the soul as it sings to us in so many different ways and forms. Song unites us. Music will (in my humble opinion) be the key that finally opens up the gates that will allow the light to shine down. ...and if we sing loud enough will they stay open longer? ...and if we rock out will we be able to shatter seemingly unpenetrable fortresses? Well it's a big day for musical birthdays but let's not forget Miss Peggy Lee, American Jazz Singer extraordinaire whose 90th birthday would have been today. Who can imagined the multi-faceted singer/songwriter/actress/poet at 90? She performed almost until the end of her life, even in a wheel chair, spanning passion, poignancy and power all in one smoky-smooth breath. 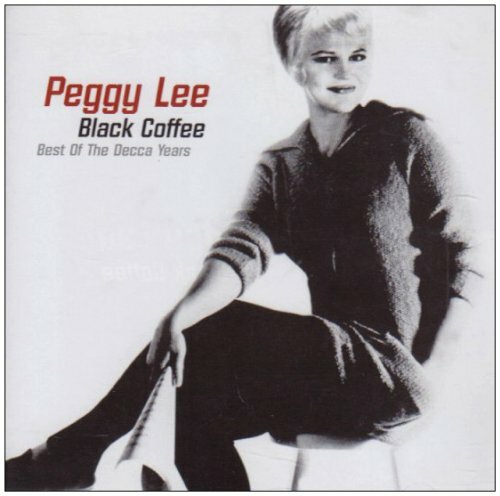 We're featuring Peggy Lee's "Black Coffee" tonight at 8pm Jerusalem Time - a real treat for our listeners. Yes it's also the birthdays of Stevie Nicks, Levon Helm, Astronaut Sally Ride (well, that's an easy enough musical fix, how many hundreds of versions of "Ride Sally Ride" do we have in our Radio Free Nachlaot musical library?). We try to keep things relevant around here, but one man's relevancy is another man's segue into a long, meandering musical set that seems to be going somewhere and suddenly - yes, you've arrived. You're in the Happy Zone with Radio Free Nachlaot. We're not afraid to play the music. Don't be afraid to listen. Levon has in fact, endured, and at 70 years old is still making that country rock, blues and roll he has been known for. We will begin with a "learning/interview" withLorelai and our friend R' Benzion Lehrer. 9:00 PM - The Levon Helm Band featuring Donald Fagen - Midnight Bramble recorded March 12th, 2010. BTW - this just in: Peggy Lee, Steevie Nicks and Sally Ride are also birthday girls! At 6:30 we'll do a short set for them, and at 8:00 - Peggy Lee's 1953 release - Black Coffee! The Women - including, Nomi Teplow, Sasha Rose, Miriam Bat Dovid, Shoshanna, Yael Maer, and Bnos Nechama. 6:00 PM - Bonnie Raitt's album "the Glow." 11:00 PM - Dan Hicks and His Hot Licks - "Alive and Lickin'"
It's a brand new week! Shavua Tov everybody -- It's a brand new week! I mean, it's already Yom Sheni - where does the time go? It's post Shavuos - and hopefully we're still charged up from our Har Sinai experiences - I'm sure that although the nation stood united at the mountain, everyone had their own experience. Isn't that the way it was with Shlomo - he could speak to a hundred people, but afterwards, each one felt he had just been spoken to alone. You know, we can all have our private conversations with the Ribono Shel Olam, but we don't live with just Hashem alone -- like the Rebbes teach us, without each other, the picture (Hashem's picture in this world -kaviyachol) would be incomplete. Where would we be without each other? Which begs the question - how do we talk to each other? I mean, how I talk to Hakadosh Baruch Hu is important, but it's really between me and G-d, right? but how I talk to you? now that's between me and you... something else, right? We want to thank you for listening, and encourage you to keep listening - cause we aint gonna shut up any day soon!!!! 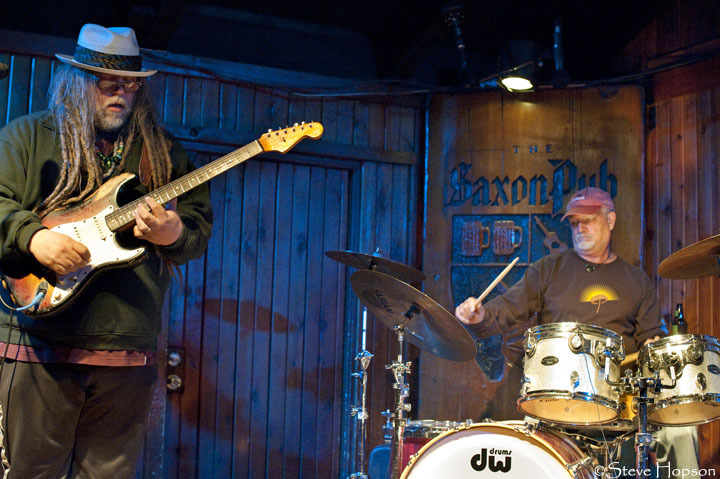 2:00 PM - Rabbi David Aron - part 3 of his series entitled: "Seeing G-d"
And then, after 6:00 we'll hear some Ethiopian Jazz, some John Coltrane to be followed by our regular (irregular) mix of rock and rhythm, electric and accoustic, folk, jazz and blues - did I leave anything out? Techno?? Well, you'll just have to let us know! We will post the schedule, as it develops - so, please stay tuned. 7:00 PM - Dave Herman on WNEW-FM used to call this "Bruce Juice" -- well, we've got an hour of "Bruce Juice" to get our evening going - Yea Bruce! And yes, of course we remember that today is Bob Dylan's birthday! (thanks to Harvey and Lorelai) - so, in honor of Bob Dylan's Birthday - not only will we be playing Bob Dylan music throughout the night, but at 9:00 PM we will present - Bob Dylan and Bette Midler - a recording of a recording session - It's "live" and un-edited, and not only gives us a peek at Bob at work, but is a lot of fun! Please, don't blame us if we can't cover them all, but we will try our best - as always - right here on Radio Free Nachlaot! 11:00 PM - 30th Anniversary show from Madison Square Garden. 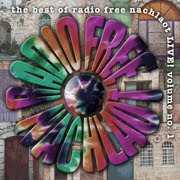 BOBFEST, as Neil Young called - Live and in living color - right here on Radio Free Nachlaot. It's almost Shabbos - do you know where your kids are? It's almost Shabbos - do you know where your kids are? Well, they should be in front of the speakers listening to Radio Free Nachlaot's weekly (Friday - 2:30 - 4:00 PM) "Not For Kids Only" Childrens Hour radio show -- this week featuring plenty of Disney songs, Sesame Street Friends, and of course tunes from Tom, Peter, Paul and Mary! Don't forget - Motzoei Shabbos - Radio Free Nachlaot Melave Malke will be on the air, starting around 10PM - we'll help the separation from Shabbos to Chol as only Radio Free Nachlaot can, and of course - Sunday Night Live - from 9:00 to 11:00 PM with Lorelai, Steve and maybe even a special guest. It's Erev Shavuot 5770 in Jerusalem, Steve has control of the Radio Free Nachlaot stream as he has since early last Thursday morning when he was awakened by multiple messages from Lorelai informing him that her computer (a.k.a. her streaming audio broadcast system) had been stolen by chutzpadik gonifs in the wee early hours of the Yom Yerushalyim morning. Steve - sensitive to the vibes of the Universe as always - is playing an exquisite soundboard-quality Grateful Dead concert from Madison Square Garden (recorded 9/21/82) to take us into Shavuos. Yes, we're camped out at the foot of Mt. Sinai. We've got our clean white clothes, dairy products, Yom Tov candles, Machzors, everything we need to receive the Torah. Some of us will even get to take a nap this afternoon. Tonight we'll mystically become one mind, one heart and one people - staying up all night to learn Torah together in salons, Shuls and private homes all over the Holy City and indeed, all over the Country and (we hope) all over the World. Then in the pre-dawn hours one of the most wonderful moments of the year - all of us somehow appear on the streets and walk together to the Old City. Hundreds of us, thousands of us, tens of thousands of us, many dressed all in white, exhilarated, tired, buzzed or blurry - we're somehow all in step and we'll all daven our Morning Prayers and stagger home to various seudas before falling asleep for what has to be one of the best naps of the entire year - Shavuos afternoon! 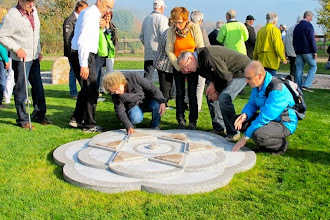 Children of Israel, look around you and see where you are, who you are with - those who are connected to your Soul Root, to your Tribe, to your mishpocha and to your heart - connect with each other, love each other, accept each other & rejoice in the gifts we've been given. You'll be hearing more about amazing gifts from Above from us at Radio Free Nachlaot - gevaldt, we've got stories to tell you! 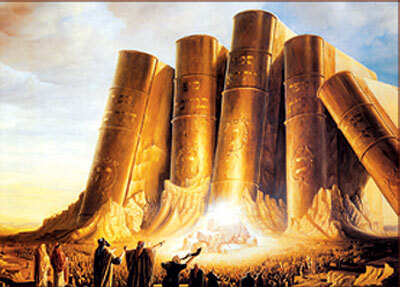 But for now it's all about receiving the Torah - so let's receive it together, each in his or her own way and may we each have the vessels in which to hold the riches that HaShem wants to give us! Good Yontif, Chag Sameach - remember we only keep ONE DAY OF YOM TOV here in Jerusalem, so to all our listeners Chutz l'Eretz (or as our friend Judy Brodt says and we constantly quote her: "Schumutz l'Eretz") we'll check in with you again after your 2-Day Yom Tovim - and to our friends in Eretz Yisrael - yallah, let's go get some Fire on the Mountain! 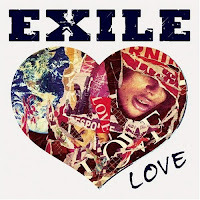 Exile on Love Street - at least that's how it feels at Radio Free Nachlaot's "Nach Central" Location after the theft of Lorelai's computer on Yom Yerushalyim last week - but at least in Exile there's comfort, hope, fellowship, friendship and most importantly - music! Lorelai is with Steve and Special Guests this morning in Undisclosed Studio B, which is really NOT exile, it's just another location in Jerusalem where our broadcast software is, b'zrat HaShem AND Baruch HaShem, safe and functional. Hot weather? You bet. Hot music? Cool, man! Stay tuned for the Morning Dew for the Morning Jew Show - By The Rivers of Babylon Edition - this morning ONLY on Radio Free Nachlaot! 3:00 PM - Rabbi David Aaron - introduction to his series on "Seeing G-d"
8:30 PM - Graham Parker - "Live in Chicago"
We will be down for Product Maintenance and Computer "Chill-Out" session between 1:00 AM and 7:00 AM this morning - 5/17/10. It's hot in Jerusalem, and we've been running Hot Hot Hot and it is time to take a deep breath, and go radio silent --- shhhh...we be resting. stay tuned to Radio Free Nachlaot - and follow us on Facebook -- we'll try to keep you posted on what to expect! The Overnight Schedule is in! Remember - all times are Jerusalem times, and are subject t0 change!! Yes, It's Thursday already!!! what ya gonna do 'bout that? We're going to get ready for Shabbos, that's what ! 9:00 pm 'ish -- PAPA MALI featuring Papa Mali on guitar, with Bill Kreutzman (Grateful Dead) and George Porter (bass-The Meters) live from the Great American Music Hall, San Fransisco, California, 4/9/10 -- yes, just a few weeks ago!!! To this humble Music Director (one of 2 here at RFN) PAPA MALI is the "freshest" version of the post Jerry - Dead bands to come along -- they're more than a cover band, they're PAPA MALI --Let's begin to get to know them together tonight on Radio Free Nachlaot. Now, that'll be "cookin'" for Shabbos, you know what I mean??!! *Please Note: Due to the theft and therefore unavailability of one of our "broadcast" pcs, we will not be able to broadcast R' Ozer Bergman's shiur this evening. We will re-broadcast last week's shiur between 8 and 9 Pm - Chazarah is always good! We are recording tonight's shiur, and we will broadcast it in the upcoming days. Stay tuned to Radio Free Nachlaot for information on broadcast and rebroadcast of all shiurim. Click on our download page, and download and play all special programs at your convenience. There'll be Dancing in the Streets -- right here in Yerushalayim!!! 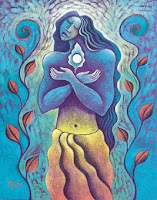 We know that Galut is when something (or someone is out of place) and the Geulah is when something (or someone) finds their place - is returned to their place. 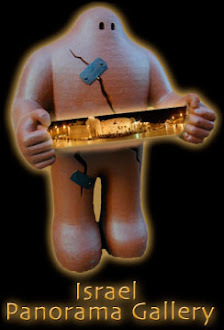 We also know that all things happen on the Micro-plane and on the Macro -plain -- there are Major Geulas, and minor ones -- all until we reach the most major geulah of them all, bimhera byamenu -- However, we have Yerushalayim -- It's ours (no matter what THEY try to do) and we are going to celebrate it, every minute of everyday !!!!! 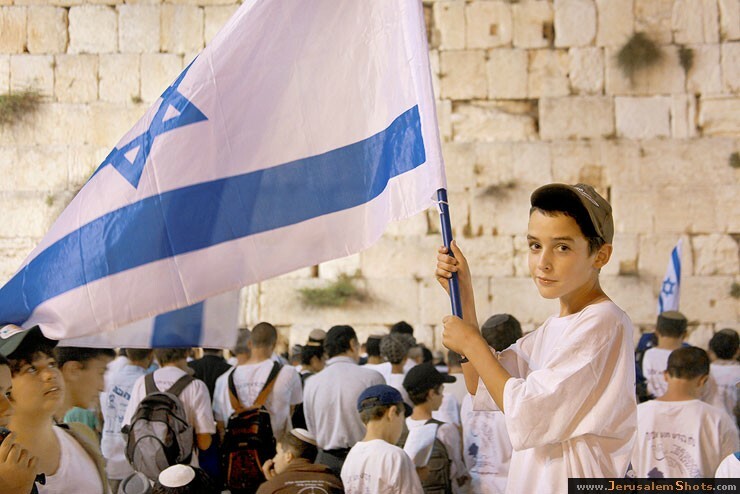 Happy Yom Yerushalayim to everyone, everywhere!!! 2:00 - More of the Regular Radio Free Nachlaot Overnight Mix -- All night long! 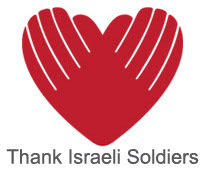 One Love, People Get Ready - for Yom Yerushalyim! The Hebrew Day starts at Sunset, while the rest of the World calculates the beginning of the day from Midnight. So - there's an overlap - sometimes the connections are meaningful as we find ourselves "today" (May 11th) commemorating the Yartzeit of Bob Marley, and also "today" (which will be 28 Iyar at Sunset this evening) is Yom Yerushalyim - Jerusalem Day, the day we celebrate the liberation of East Jerusalem and the Temple Mount and the reunification of the City of Jerusalem - the Eternal Capitol of Israel. 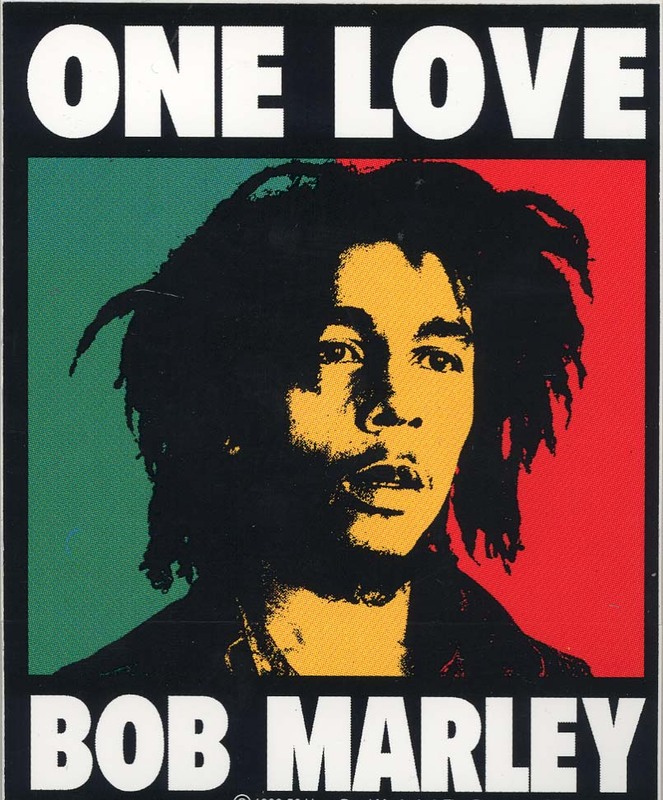 It's almost like shooting ducks in a barrel, isn't it - a little too easy to draw parallels between the celebration of Bob Marley's life and the liberation he brought to music and people World-wide, and the liberation of Jerusalem during the 1967 "6-Day War." Still, we don't believe in Calendar Coincidences - and we're celebrating both events and more right here on Radio Free Nachlaot. Tonight at 6pm Jerusalem Time we're playing Yishai Fleisher's "Kumah" CD followed by a set by The Spin Doctors (Chris Barron is in Jerusalem even as we speak and we're hoping to have an interview with him a little later - he's performing tonight in Gan Sacher) and our own local Internationally-known band, HaDag Nahash. 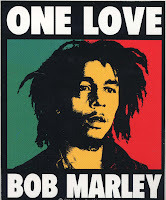 Starting around 9pm Jerusalem Time we'll hear a LOT of Bob Marley. So stay tuned! Hamseen - hot stifling weather - used to be in the days of the Ottoman Empire that murders committed during Hamseen weather were downgraded from murder to involuntary manslaughter (or at least the Ottoman Empire version of such a thing) because everyone knows this weather makes you CRAZY. Stay with us on Radio Free Nachlaot while we try to stay cool and sane. 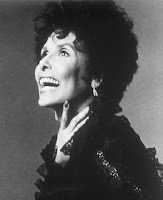 Lena Horne - singer, actress, Civil Rights Activist, 8 time Grammy Award Winner and vocalist extraordinaire, passed from this world this morning. We're hearing some Lena classics on "Morning Dew for the Morning Jew" this morning. Did you know Lena's second husband, musical arranger Lennie Hayton was Jewish? Theirs was truly a "Mixed Marriage" during a time in American history when it wasn't so commonplace for a woman of color to be married to a "white" man - let alone a Jewish man. Her daughter Gail married Jewish screenwriter and director Sidney Lumet, keeping it all in the family. 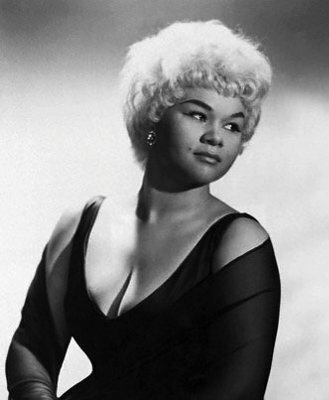 No one sings "Stormy Weather" like Lena - we'll miss her beauty and spirit. It's also the birthday of U2 Frontman BONO, prompting us to play "The Joshua Tree" in it's entirety today - always a pleasure to hear. 3pm: Rabbi Moshe New "Moses, David and the Baal Shem Tov"
8am - 1pm : Lorelai's Monday Edition of "Morning Dew for the Morning Jew" Show with mini-tribute to Lena Horne as well as new music from Melissa Etheridge, Bonnie Raitt, Carly Simon and more. 10:30pm - Counting Crows "Saturday Night and Sunday Mornings"
11:30pm - Elton John "Goodbye Yellow Brick Road"
We expect to be feeling a whole lot better when this Hamseen breaks - oh yes, we've got a feeling it can't last too much longer - stay cool folks & stay with us on Radio Free Nachlaot today! Shavua Tov - It's HOT HOT HOT today in Jerusalem and it's starting to dawn on us that Summer is coming again to the Middle East (did it ever really leave?) and Temperature Control Management Systems need to be put into place ASAP! Second: Cool Music! Listen to Radio Free Nachlaot from anywhere in the world on your computer AND now on your iPhone! Check our our DOWNLOADS Page to find out what we've been working on this week - we've got a new Interview with "Cool Jew" Author Lisa Alcalay Klug (recorded May 5th) as well as the recording of Reb Ozer Bergman's Thursday Night Rebbe Nachman Shiur, recorded Thursday May 6th, and Yeshiva Simchat Shlomo's own Rabbi Sholom Brodt on "Ahavata Lreacha Kamocha" - Enjoy! Good Shabbos, Good Shabbos - Shabbos is coming!!! So, as I approach Shabbos this week I feel like it's all about collisions. Not terrible collisions -the world shattering, life threatening kind, but the kind of collisions that happen all the time, and that we kind of enjoy - You know, kind of like with bumper cars - do you remember bumper cars? Those kind of collisions, So let me ask you -- how do you play bumper cars? How do you approach a collision? How do you rebound? How do you rebound, again and again? You know, with the mix of peoples on this earth, let alone all of us Jews, this is not a theoretical question. There are bound to be collisions!! Hey - you put so many ingredients into any cholent and something unexpected is sure to happen! Now, that may not be so bad, you know? Anyway, as this relates to music......because there's room for all kinds of music here at Radio Free Nachlaot, I predict It's going to be one explosive - guided - musical collision -and I say -Stay tuned right here, and let's collide - all the way to shabbos. Radio Station Programmer / DJ / Impresario (or should that be Empress-ario?) is the perfect job for the musically obsessive-compulsive. Not simply an opportunity to daily pander to my own lifelong ritualistic aural-emotional self-stimulating/soothing instinct, but a chance to connect my inherit skill as an Empath with our Listeners and feed them, song by song, musical nutrition that joins you on your journey, narrates it along the way and helps you climb those rocky bits and navigate those treacherous shoals. Today in Musical History marks the 10 year anniversary of my first and only Ocean Cruise - the "Cinco DeMayo" Cruise to Mexico and back from Long Beach which I took with my friend Tami Potter. I don't know where we went in Mexico because I never got off the ship. Once ensconced poolside with a tall frosty umbrella-festooned glass of something heavy on "Rum, My New Best Friend" (a phrase coined on that Cruise) I relaxed...and relaxed, and continued to do so for something like 4 days. A lot of Los Lobos and Gypsy Kings will be played today in honor of that sweet memory. Happy Cinco DeMayo and don't forget - Tshuva, Tefilla & Tequilla sweeten the decree! 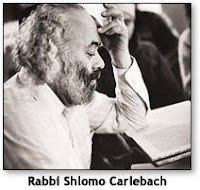 4pm: Reb Shlomo Carlebach "Learning from G_d Himself, Living for Real"
7am - 1pm: Lorelai's "Morning Dew for the Morning Jew" Show features a lot of the ritualistic neuron-stimulating music from Aretha Franklin, CSNY, Buffalo Springfield, Roseanne Cash, Black-Eyed Peas, David Gray, Lou Reed, Rickie Lee Jones, Joni Mitchell, Cat Stevens, Allison Krause, and much more. Don't be afraid of mixing genres, it's good for your musical digestion. 1pm - 6pm: "Israeli Soul" Afternoon features music from Neshama Carlebach, Raz Hartman, the Moshav Band, Matisyahu, High Windows, Eyal Golan, Jon Samuel Nelson, RebbeSoul, Noa Babyoff, Simply Tsfat, and Andy Statman. 6pm: We celebrate The Buffalo Springfield's Farewell Concert (this day in Musical History, at of course the Long Beach Arena in 1968) by playing "Expecting To Fly" (1969). Watch and listen for updates for our SPECIAL LIVE SHOW WITH SPECIAL GUEST coming up after 8pm tonight - you'll just have to WAIT AND SEE what happens next! 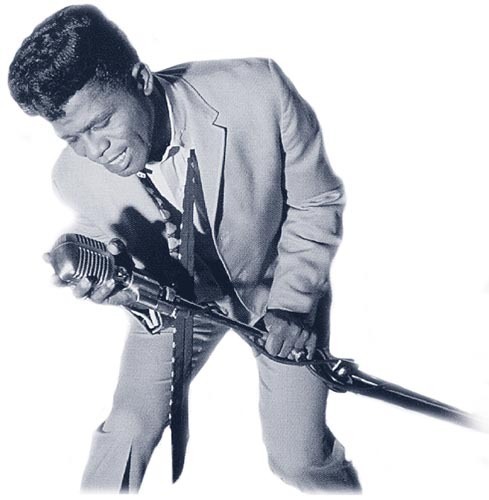 Today would have been James Brown's 77th Birthday, had the world not lost him in 2006. The Godfather of Soul, "Soul Brother Number One," Mr. Dynamite, The Hardest Working Man in Show Business - James Brown was an original force of nature, not entirely without a destructive side, who changed music and culture. Who remembers how Vice President Hubert Humphrey ceremoniously thanked James Brown for his April 4th, 1968 television appearance following the assassination of Martin Luther King Jr. pleading for calm in the wake of what the nation feared would be race riots (which, in fact, did not take place - in no small part due to James Brown. Maybe he was the Bono of his day, maybe Bono is a Proto, or pro-Bono ... I don't know, Bono is another day and today it's The King James Version starting with James Brown at 6pm - The King of Soul! James Taylor is another kind of royalty - the original Southern Rock Aristocrat, ex-husband of Carly Simon and father of Ben and Sally, Taylor remains the quintessential Singer/Songwriter who survived his own youthful flirtation with self-destruction and continues to tour and perform today at full strength. James Blunt - well, to be blunt, we're going to have to wait several decades to find out if this talented young Emo-Singer/Songwriter can get over his own hormonal haze and turn out a body of work that lasts a lifetime. We're hoping so. He's got promise, potential, pipes and passion - a prince amongst the James Set. The James Gang - Brown, Taylor, Blunt & Etta set starts tonight at 6pm - ready or not, here they come! 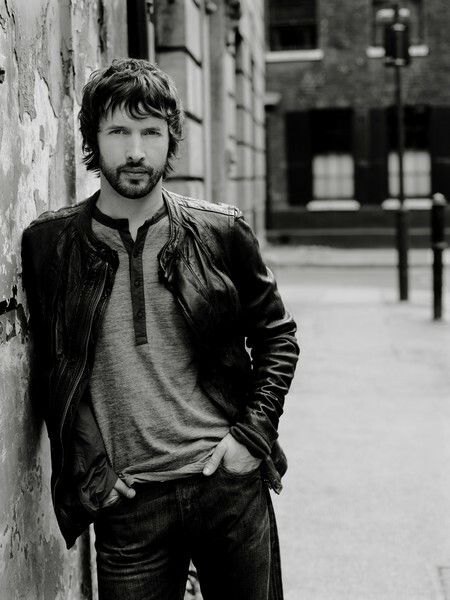 And just for good measure - maybe after that we'll hear some Jim Morrison. At 5:30pm we'll hear Rabbi Sholom Brodt's new piece on "Ahavtah Lreacha Kamocha" repeating again at 11pm. On the Omer Calendar we're really hauling up to Shavuos now. Today is Yesod She'bHod and tonight after dark we count 35 Days of the Omer which will be Malchut She'bHod. It was on this day (20 Iyar) that the Children of Israel left Mt. Sinai and began their trek through the desert. as a Jew. "A righteous man falls down seven times..." Let's try not to skin our knees too much, shall we? We want to make it all the way to Shavuos without any unnecessary injuries! 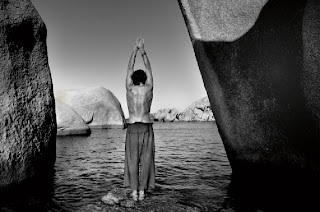 We've got a lot of heavy lifting to do in the weeks ahead - but it's there in sight. Let's get there together. 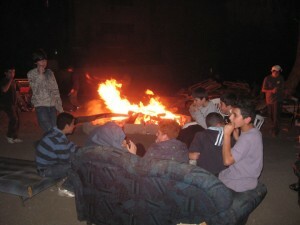 Happy Lag B'Omer - and now, in the afterglow of the bonfires let's enjoy some Shlomo, some "Kabalah Music" and some "divrei Torah" - and then we can resume our regular music listening, and Dance, Dance, Dance !!! Joe Sample, Amos Lee, Bonnie Raitt and Friends, Bob Dylan, Tracy Chapman, Tom Petty, The Traveling Willburys, to name a few -- and then, around 8:30 PM - Sunday Night Live with Lorelai and Steve -- let's catch up with them and their exploits...all right here on Radio Free Nachlaot. Remember, Nachlaot - not just a community, a state of mind!